There are tons of options to access your email accounts. However, it can be overwhelming choosing the most effective app. But it’s time to take control of your email folks! We have done the hard work for you. Keep reading to learn the best mac mail application currently available. In today’s world, we have happily taken on our inner cyborgs. We connect in seconds with others. Social media, cell phones, and apps have shown us the ease of short direct messages. Yes, email has been around since the early ’70s. But, it’s not going anywhere. Emails allow us to maintain professionalism in business relationships. Your job may require you to work in a remote setting or in an office. Still, emails are often the preferred choice of communication. If you’re running your own business you might have to send multiple receipts or samples to a client. Emails have the service power to send the applications you need. Emails also keep communication at a good distance. Take academic communication for instance. Professors use emails to send an entire class assignment instructions. Imagine if a professor tried to call every student to explain a paper topic… that might be a little awkward. It would definitely be time-consuming. Email serves us in so many ways until it doesn’t. To better understand our online communication we must take a better look at how we check our email. Most of us have more than one email account. We separate emails by their purpose. An email account just for business, for personal, for school, and for subscriptions. You can access accounts either through webmail or an email client. Email protocols, such as IMAP and POP3, have different advantages and disadvantages for email clients. Webmail is an email account hosted through a browser. For example, think Gmail, Yahoo! iCloud, Outlook.com, and MS Exchange. Each webmail account can only be viewed separately via different browser tabs. To check notifications and carry out email actions, you must access each account one at a time. Not to mention you must have internet access as well. If you only have one email account you can commit to webmail with no problem. But, when you’re using more than one email account that’s when email gets tricky. Instead of webmail, you can use an email client. These are programs you can download onto personal devices. Email applications let you see all your email accounts at once. You’re in the market not just for any mac mail application but for the best email for Mac. The first question you need to ask is how this application improves your email experience. Let’s be real. Your email should be checking off all your “must-have boxes”. An email client should never be clunky and difficult. Set-up should require minimal effort. Most of us don’t want to learn complex settings just to read our emails. People receive thousands of emails every day. Your email app needs to help you declutter your inbox and your life. The best email clients offer features that cut down your response time and your effort. Many email clients will offer templates and easy quick replies to help in time crunches. Most of us check our email on the go thanks to our phones and tablets. Missing a crucial email can throw off your entire day. That’s why it’s critical to be able to check your email with a mobile email client. It’s a priority to sort through the junk mail and the spam mail. Some of the best email apps for Mac provide email encryption and other security features. Different mac mail applications range in their prices. Your needs and budget will help you find the best email app for you. If the price is a concern, try not to worry. There’s plenty of great options for free email clients for Mac users. What are the Best Email Clients for Mac Users? There isn’t a one-shot answer. The best email client for you suits how you like to send and receive emails. You must explore each email client to determine the best option for you. Below we highlight options we consider some of the best mail apps for Mac users. Mac users have Apple Mail at their fingertips since it’s the default email client on the computer. Apple Mail, aka Mac Mail, works well with macOS and has an easy setup. The design is simple but polished. You can select search filters and add multiple email accounts. Apple Mail comes with a huge Apple bonus. This email client supports Siri. Want to multitask while you check your email? Siri will read your emails aloud. She’ll also send an email for you too. Mac users who need a basic and intuitive software can stick with this original mail application. This mac mail application is sleek. The interface pleases your eye with its modern design. You don’t have to take my word. This email client won the Apple Design Award. Airmail has a laidback user interface. You can easily sort through emails and adjust the software to match your workflow. Speaking of workflow you can integrate third-party applications such as Asana and Wunderlist. Craving a unified feeling when you greet your emails check out Airmail. You can hit snooze if you need a break from notifications. Leave the organization to the masters. This email client claims they’ll make you “Love your email again”. Spark auto-organizes your emails using a smart inbox. This means less thinking for you. A lot of email clients utilize smart features but Spark has taken it the next level. Your most important emails are pinned to the top. Spark also separates emails based on your interaction. Emails you’ve never seen are separate from the ones you’ve already peeped. Spark also offers a version for coworkers to collaborate together. Spark for Teams is free. Teams can edit an email together freely. They can also discuss emails without the hassle of forwarding emails back and forth. Polymail hits the basics. It’s smart with a clean design. The free version includes calendar scheduling and undo send features. Say goodbye to sending second emails with forgotten attachments. Just hit undo and send it again. The money feature for this email client is its postpone feature. Polymail allows you to select emails to postpone for later use. On top of that, you can track when your sent emails are read. Who doesn’t want read receipts for their email? This email client focuses on collaboration. You can comment and mention in real-time with others. Polymail shows social links, job description, and relevant information about a contact. Next to each contact is an avatar for easy recognization. Coupled with the personal insight you can easily personalize messages to every contact. In terms of security, Canary Mail is top-dog. Maybe we should say top-bird. In just one click, this mail app ensures your recipient is the only one able to read your message. That’s not its only impressive feature. This email app is intuitive and effortless. Canary Mail highlights critical emails to keep track of them easily. When you’re busy you can snooze incoming emails and check them later. You can also hit the block feature and stop others from tracking you. One of the best features of this email client is it won’t make you choose security over design. Customize your layout with colorful palettes and images. Compared to other mac mail applications, Canary Mail is visually striking. Looking for a flexible email that can satisfy all your needs? Opera incorporates RSS feeds. This email client indexes your emails. For example, one view will include emails with attached documents. Another view will include just mailing lists. Not to mention this email application is the queen of customization. The available extensions and shortcuts allow total personalization. Power users listen up. This email application offers customizability, elegance, and all the features you would want. How many times do you write the same emails over and over? Postbox provides 70 legit email templates for free. This is a great way to capitalize on your time. These templates also come with placeholders. All you have to do is fill in the data elements and send off a message in seconds. This email client lets you group contacts. Emails can be directed to the right people without scrolling painfully through your entire contact list. Postbox offers multiple tabs to navigate information in a breeze. Originally known as Nylas Mail, Mailspring helps your team’s productivity. Any die-hard lovers of Gmail or outlook? If you don’t want to leave behind your favorite views you can still upgrade your email client. Mailspring is a gift for people who operate within large social networks. Nylas Mail has enriched contacts. It automatically collects relevant contact information from social media for every email address. As a receiver, you won’t ever miss an email from someone important. Also, talk about useful specs. Mailspring eliminates extra google searches by presenting all their social handles and usernames. Something we also appreciate about Mailspring is their translate feature. You can translate your message to any language as you compose your email. If you’re tech-savvy you’re probably going to gravitate towards MailMate. If you prefer a plain text editor to craft your emails this is the perfect option for you. The most attractive features are extensive keyboard control and markdown integrated email composition. Additionally, users can use multiple notification methods and alternative message viewer layouts. You may question why you would want an email client with a small user base and a boring layout design. They focus all energy on creating the best email app in terms of power, efficiency, and security. Does the sound of code syntax highlighting and math expressions catch your interest? Then you’re the perfect email user for MailMate. This email client is more expensive compared to the free email clients for Mac. But, it works well for individuals seeking these certain needs. For $49.99 you create your own email world that works best for you without an unnecessary glam and glitz. If you’re a lover of Mozilla you’ll need to try out their 15-year-old trusted email client. This cross-platform email client utilizes a tabbed interface to mimic Mozilla Firefox. Simply double click or hit enter and your email will open in a new tab. These tabs create a visual experience for easy workflow and are saved for later use. The mail account setup wizard is extremely user-friendly. Beyond its email system, you can use Mozilla Thunderbird to access multiple-channel chats. Additionally, this mac mail application can manage your future appointments. Thunderbird offers a search the web feature. This is a huge timesaver. You can search the internet without leaving your mail application. This level of convenience within an email for Mac devices is unheard of. Check out their smart folders, add-ons, and large file management. This app shapes your email engagement based on your own decisions. Mozilla Thunderbird is no longer in active development. But don’t let that dissuade you. This secure email interface will help you focus on important emails and sort the rest out of your life. We’re in the 21st century and an email is still a dominant form of communication. A gentle reminder: your time is valuable. Consolidate your email accounts and losing time checking individual web-based emails. If you’re unsatisfied with your email don’t wait to make the switch to one of the best email clients for Mac in this post. Some of you may be craving more features to meet your needs. Others need something simple! 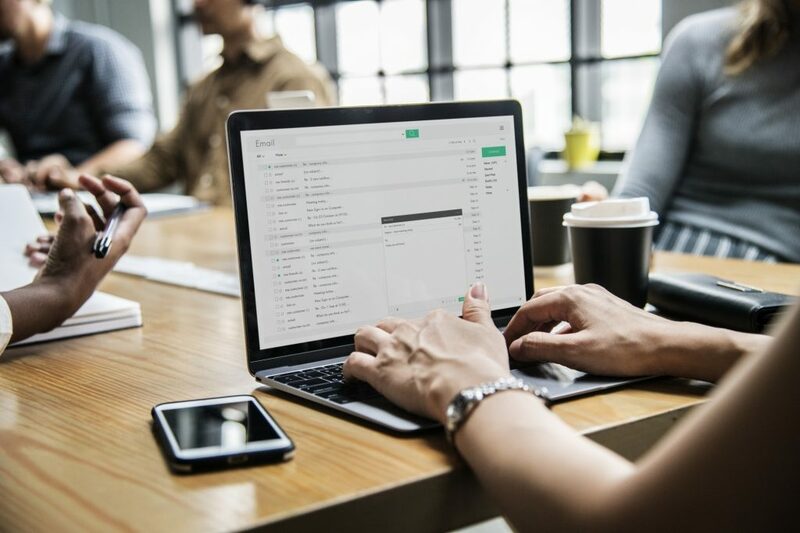 Your email should help you connect easily to others. We already know the Mac works. It’s time to make the best email client work for you. Interested in the world of Mac and creating your own website? Consider us your one-stop-shop for Mac insider knowledge. Check out our web hosting services!